Toy company Mattel will now make their dolls with adjustable ankles. This is a huge step for Barbie. 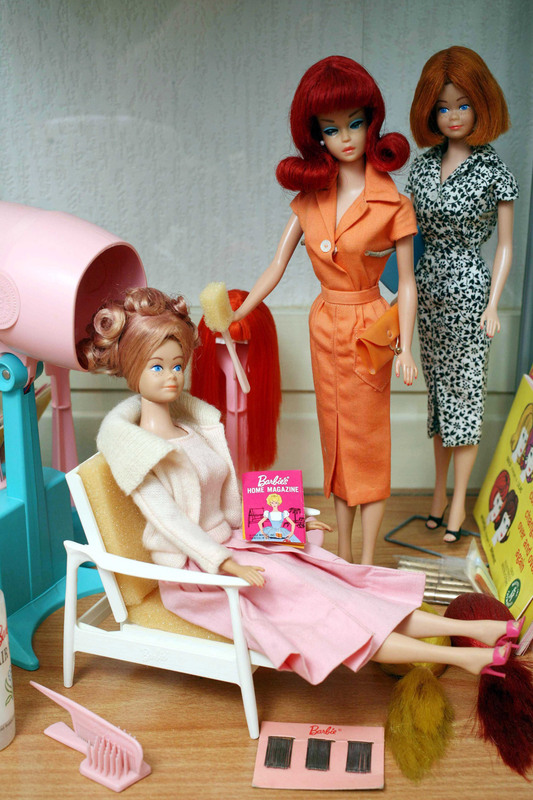 Barbie will soon be able to give her feet a rest after 56 years of tottering around in high heels. The company behind the famous toy have revealed that the dolls will now be made with adjustable ankles, allowing her to wear flat shoes too. Looks like Barbie’s already enviable closet is about to get even more amazing then. Just imagine all of the gladiators, loafers, sneakers and ballet pumps she’ll be able to pair her outfits with. Since becoming a household name all over the world in 1959, Barbie’s feet have been engineered with a permanent arch to fit everything from spike-heeled stilettos, wedges and platform boots. It’s a very important change as until now, Barbie has had to undertake activities including doing to housework, horse riding and cooking wearing impractical shoes. The news broke as Mattel introduced their new ‘Fashionista’ range – and it’s not only footwear that’s had quite a drastic makeover. Barbie dolls will now be made with a choice of 8 different skin tones, 14 facial sculpts and 18 different eye colours. Customers will also be able to choose from 23 different hair shades and 22 different hairstyles. Is the iconic doll about to become our new star source of hair inspiration too? Probably. Mattel’s announcement has caused quite a stir on Twitter, with many users taking to the social media site to share their views. Barbie – who’s real name is Barbara Millicent Roberts – has come along way since her advent back in the fifties, when Mattel’s co-founder Ruth saw a gap in the market for children’s toys with adult roles. To celebrate her 50th birthday in 2009, a special haute couture show at New York Fashion Week was dedicated to Barbie. Diane Von Furstenburg, Christian Louboutin and Vera Wang were among designers to take part. And on Valentine’s Day back in 2007, Mac released a line of Barbie-themed cosmetics. ‘This is intended to be a very sophisticated make-up collection, designed for adults – not children,’ Mac’s Peter Lichtenhal said at the time.